more enterprises see public cloud as their top priority, up from 29 percent in 2017 to 38 percent in 2018 according to the RightScale “State of the Cloud Report” published in 2018. As the technology leaves the early adopter phase and becomes mainstream, many organizations find themselves scrambling to overcome the challenges that come with a more distributed infrastructure. One of those difficulties is getting through a major cloud migration. 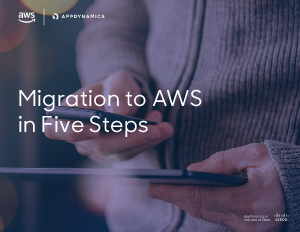 As customers decide on migrating applications to AWS; or migrate the entire data center to AWS, many organizations scramble to overcome the challenges. Customers are committed but are very cautious in migrating applications – not sure about how the app will perform once it’s migrated over. Businesses may be turning to the cloud at a breakneck pace, but that speed is leaving many without a clear plan as to how they want to reach their end destination.